However, selecting disinfectants at this time poses a specific challenge because disinfectants and sanitizers are regulated by the U.S. Environmental Protection Agency (EPA), which explicitly prohibits manufacturers from making green or health claims and forbids the use of third-party certifications. The EPA is currently developing a “pilot project” to allow disinfectants to either bear its Design for the Environment (DfE) logo (assuming that the product passes the DfE screen) or to allow manufacturers to make “factual claims” (those that can be proven typically by a laboratory test such as being biodegradable). However, I don’t anticipate products actually entering the market under this pilot project until the summer of 2010 at the earliest. Nonetheless, this does not mean that you cannot have a disinfectant or sanitizer in a green cleaning program. As a matter of fact, a disinfectant can be a valuable tool in your toolbox to help create a healthy, high-performing indoor environment. So rather than relying on third-party certifications you’ll have to apply the definition of green from Executive Order 13423 when comparing products. For example, it is preferable to select a disinfectant that has a neutral pH (closer to 7) as compared to a product with a pH at the extreme ends of the scale (0 or 14). It is preferable to use a more concentrated product compared to a ready-to-use or less concentrated alternative to reduce environmental impacts from packaging and transportation — and this can save you money as well. If trying to meet the requirements of the various “green roadmaps,” including the U.S. Green Building Council’s LEED Rating Systems, the Healthy School Campaign’s “Quick and Easy Guide to Green Cleaning in Schools” and Practice Greenhealth’s “Green Guide for Health Care,” make sure you have documentation from the manufacturer that the disinfectant or sanitizer meets or exceeds the requirements from the State of California for volatile organic compounds (VOCs). Frankly, this is pretty easy to do, so just make sure you have the documentation to prove it. And from an overall green perspective keep in mind that disinfectants are important and serious chemical compounds specifically formulated to kill living organisms. Thus, another way to green your cleaning program is to use disinfectants only where and when needed. For example, a hospital-grade disinfectant is essential in maintaining critical areas within a hospital including operating rooms, morgue and patient rooms, but in many areas of a hospital such as mail rooms, shops, maintenance areas and public hallways a low-grade disinfectant, sanitizer or even a simple detergent may be sufficient — and be a safer, greener alternative. Not only will this approach reduce some of the risks associated with disinfectants, but in many cases it can also save money. Finally, make sure the disinfectant is appropriate for the organisms being targeted and don’t forget the importance of training. It is best to purchase your green cleaning chemicals from a manufacturer or distributor that can train your cleaning personnel on proper procedures, application, dwell times and other techniques to ensure that the products are being used correctly to protect both health and the environment. 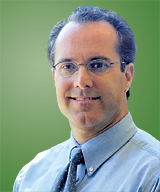 Stephen Ashkin is president of The Ashkin Group and executive director of the Green Cleaning Network. Ashkin is speaking at ISSA/INTERCLEAN® in Chicago on Tuesday, October 6. His two presentations, “Are You A Sustainable Company?” and “The Green Cleaning Update” are sponsored by Contracting Profits.